Longstanding US policy calls for regime change in all sovereign independent countries – by color revolutions or wars, notably targeting Russia, China, Iran and Venezuela, to eliminate major rivals and control world resources, especially oil. The Pentagon maintains war plans against all targeted countries, updating them as needed, ready to act if ordered – risking potential global war. 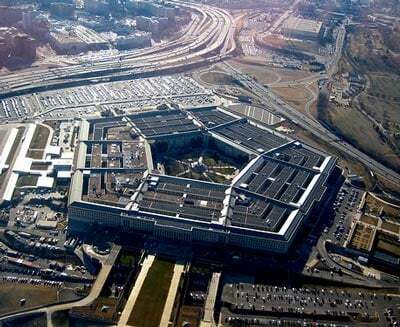 For the first time since the collapse of the Soviet Union, the US Department of Defense is reviewing and updating its contingency plans for armed conflict with Russia. Putin is “no longer a potential partner, but a potential threat.” An unnamed senior defense official ludicrously warned of “potential (Russian) aggression against” NATO allies. Updated plans “have two tracks,” said Ioffe: responding along with other NATO nations to an attack on one of its members or acting unilaterally. Both versions focus on hypothetical “Russian aggression” in the Balkans, including so-called hybrid tactics, non-traditional warfare – similar to accusations of nonexistent “little green men” in Ukraine, as well as cyberwar and other destabilizing acts. Claims about potential Russian aggression or other hostile acts are fabricated rubbish. Fear-mongering is a longstanding US tactic – a pretext to rev up military spending, enlist more allies in its war machine, and divert public attention from what matters most domestically: ending austerity, creating good full-time jobs and governance serving everyone equitably. In June, Putin denounced Western “scaremongering.” Its military footprint is polar opposite America’s global empire of bases. Russia has “virtually no bases abroad,” he explained. The few remaining are Soviet era relics. “I think that only an insane person and only in a dream can imagine that Russia would suddenly attack NATO,” he stressed. I think some countries are simply taking advantage of people’s fears with regard to Russia. They just want to play the role of front-line countries that should receive some supplementary military, economic, financial or some other aid. Ioffe’s article is thinly veiled propaganda for greater US-led NATO military presence in Eastern Europe provocatively close to Russia’s borders – based entirely on a nonexistent threat, the kind Washington invents ahead of all its aggressive wars. Russophobic writers like Ioffe ignore the real threat – US-led NATO’s Eastern European expansion along with frequent provocative military actions close to Russia’s borders, forcing its military to react defensively. Deputy Defense Minister Anatoly Antonov said NATO is provoking Moscow into an “arms race.” Reports of “American missiles put in a certain location (and) ammunition depots in Eastern European countries and the Baltics” force Russia to act. Belligerent remarks, including Obama calling Ebola, Russia and ISIS America’s greatest threats, Defense Secretary Ashton Carter saying Russia is a “very, very significant threat,” and incoming Joint Chiefs Chairman General “fighting Joe” Dunford calling Russia’s “behavior…alarming…an existential threat” heads things dangerously closer to direct confrontation.